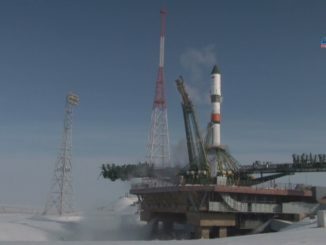 A Russian Progress supply ship launched Tuesday from the Baikonur Cosmodrome in Kazakhstan, firing into orbit from a snow-covered pad to haul three tons of fuel, water and equipment to the International Space Station. 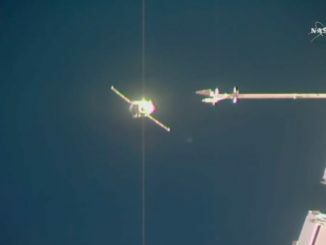 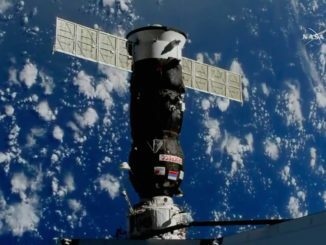 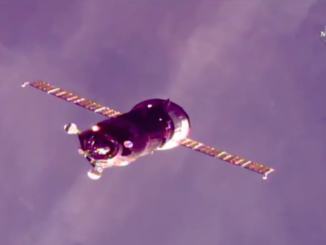 Russia’s Progress MS-08 cargo carrier glided to an automated radar-guided link-up with the International Space Station on Thursday with three tons of fuel, water, supplies and experiments. 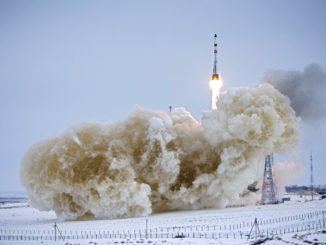 Running two days later after a last-minute abort Sunday, a Russian Progress resupply and refueling freighter lifted off in a blanket of fog Tuesday from the Baikonur Cosmodrome to deliver three tons of cargo, propellant and water to the International Space Station. 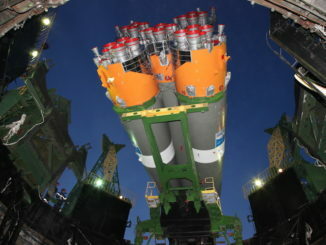 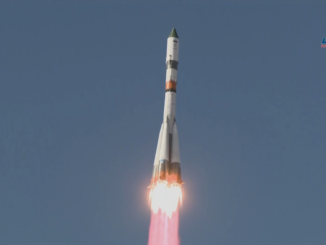 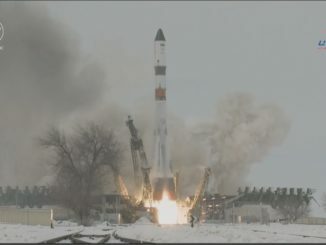 The launch of a Russian Progress cargo ship aboard a Soyuz rocket was aborted in the final minute of the countdown Sunday, forcing a delay of at least two days in the start of a resupply and refueling mission to the International Space Station. 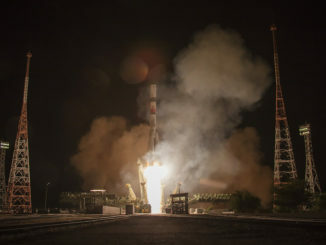 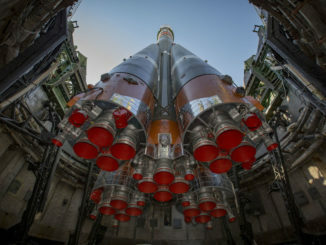 A Russian Soyuz booster and an automated Progress resupply ship reached their launch pad Friday at the Baikonur Cosmodrome in Kazakhstan, two days before firing into orbit test out a new expedited rendezvous sequence that will culminate in the Progress spacecraft’s docking with the International Space Station just three-and-a-half hours after launch.